Team Bag outer material PES. nylon polyester inside. zip top closure. Four metal rivets at the bottom. Two pockets with a zipper on each side. 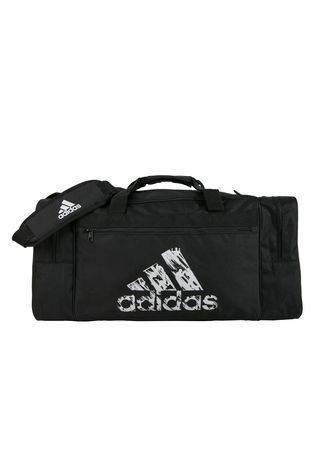 This bag has been designed for training or team tournaments. adidas logo printed on one side and three Bades printed on top.